No matter where you live in Miami, the beach is not too far away. For our coastal clients, salty sea spray is not an issue if your roof is from Metal Master Shop. I’m sure you love living by the beach – who wouldn’t? But building a house on beachfront property is no easy feat, especially in Miami. Sea spray is a particularly nasty element that can wreak havoc on oceanside homes. Sea spray is created when high winds and crashing waves send particles of salty ocean water colliding with everything in their path. I’m sure you’ve felt that salt spray yourself – usually a pleasant experience when it’s light and aromatic. But imagine how damaging it could be if it is constant, harsh, and lingering. Your house needs to be made so that it can withstand the higher concentration of minerals that the salt spray deposits on every surface of it. Those mineral deposits make everything they rest on corrode more easily. Salt and water are definitely enemies to most paints, metals, and other building materials. You don’t want to make a wrong choice and see a huge investment – like your home! – rust and fall apart in just a few years. Don’t worry. Take a deep breath. Your beautiful oceanside home is not fated to fall into rubble before you enjoy a long and happy life in it. Metal Master Shop recommends aluminum roofing on all properties within a mile of the South Florida coastline. This is important! 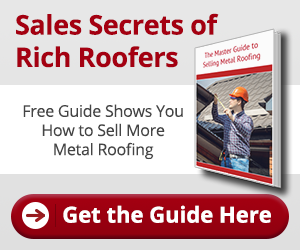 Even the best metal roof will start to fail if it is not maintained properly. Our #1 Tip: Clean your roof! Regularly pressure wash your roof to get rid of the high mineral/salt concentration from sea spray. After storms, pay even more attention to cleaning that roof as there will often be additional salt buildup and debris. There are roofing companies that have client maintenance programs, or offer post-storm clean up services. Find a reputable roofer and make sure the job gets done right! If you are building or re-roofing your beachside home, remember that aluminum roofs are your best option for combating the corrosive power of sea spray.